The story of Hotel Suizo begins at the end of the 1960s: a dream, a vision of future. The strength and conviction necessary to make it a reality resided in a woman, Maria Gracia “la Gringa Stellina” Rusconi de Palavecino. Of Swiss nationality, la Gringa arrives at Neuquen Capital City during postwar years. With the desire for a future of progress, she gives life to a project that would become the inheritance of three generations. With confidence and strength, at a relentless pace, on December 28, 1969 at her in-laws’ house, María Gracia opens the doors of the hotel dream. With five rooms, she opens with her husband, Rubén Palavecino, El Residencial Suizo. 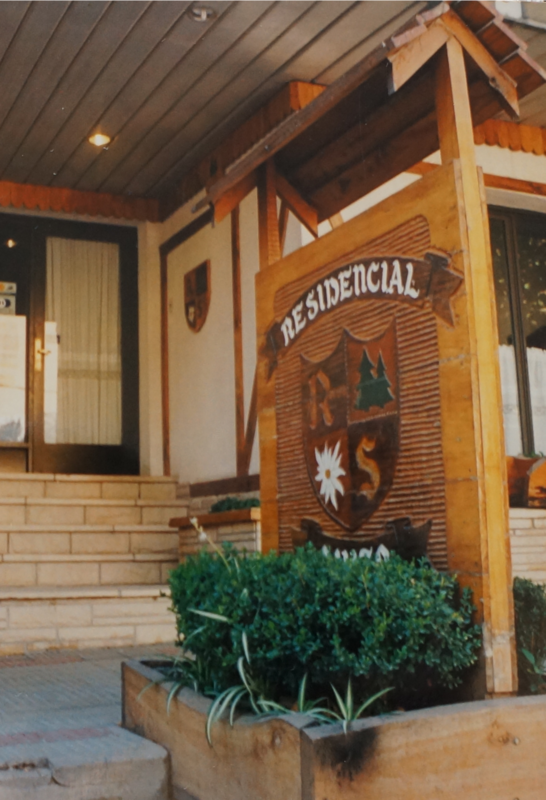 In 1978, the residential expands to 18 rooms, growing at the same pace as the demand for services that the booming society of Neuquen starts demanding. The hotel was kept unchanged for another ten years. In the year 1990, continuing with the legacy of their mother, the siblings Jannet Palavecino and Omar Palavecino take over the administration of Hotel Suizo, forming a management with his father, Rubén. Promoters of the same vision, tenacity and strength, they undertake together the challenge of turning it into a new building. Thanks to the joint effort and as time passes by, Jannet, Omar and Rubén manage to create a seven-story structure that continues untouched to this day. It houses 50 rooms, two exclusive events rooms, a fully equipped business office and a warm lobby that showcases exhibitions of internationally recognized plastic artists. The new hotel also has a two private garages and it has the distinguished service of Mítico Sur café, a place of excellence, ideal to enjoy the breaks of the day. 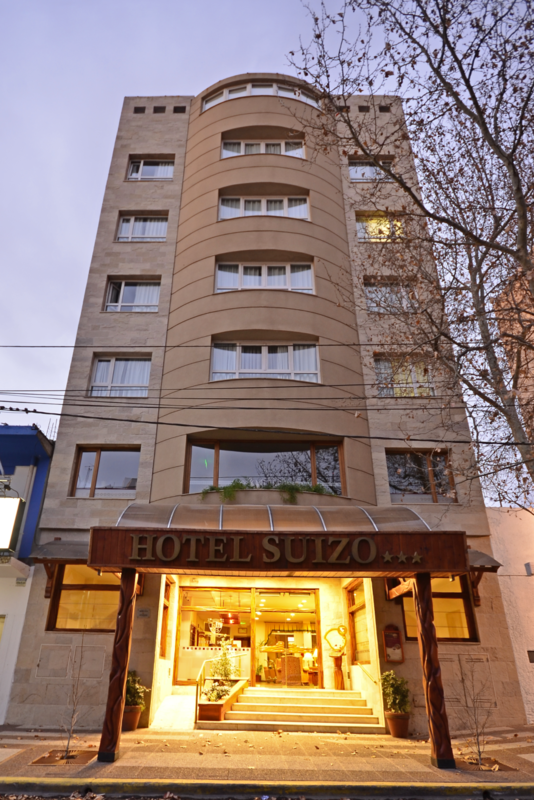 Today, Hotel Suizo continues to look towards the future, but without renouncing to the essence that gave life to this story 50 years ago.